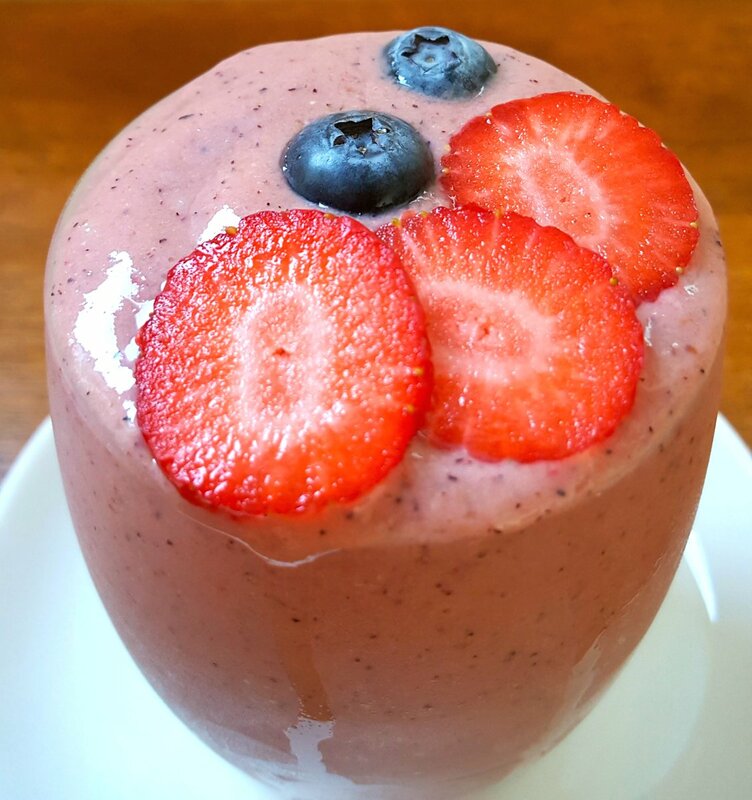 Avocado berry smoothie with added protein, avocado and goji berries! These nutty energy bites have a nice sweetness to them without being overpowering, and a little square or ball will keep you nice and full. I really enjoy them after a workout in the gym, when I feel like I’ve earned a little treat but don’t want to ruin all my hard work. If kept in an airtight container, they keep well for up to two weeks in the fridge. Place the almonds in a food processor with the Brazil nuts, cashew nuts and pumpkin seeds and pulse until finely chopped. But don’t pulse too long – you don’t want the nuts to turn to a paste. 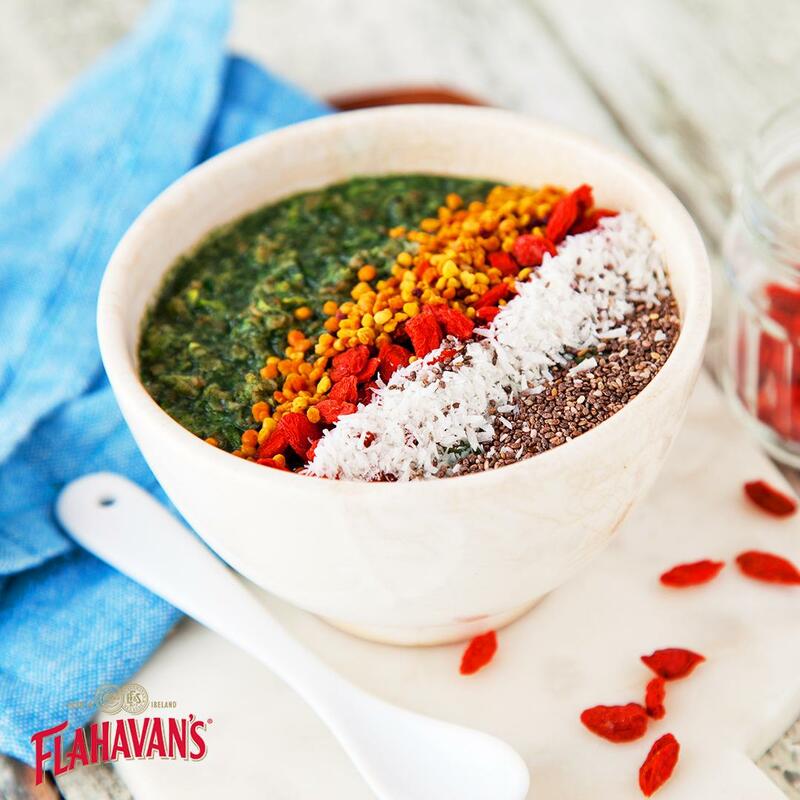 Tip them into a bowl and stir in the goji berries with half of the desiccated coconut and a pinch of sea salt. Melt the coconut oil in a pan over a low heat. Once it has melted, remove from the heat and stir in the honey, peanut butter and vanilla extract. Mix well in the pan using a whisk or a fork. Pour this over the nut mixture and stir together until it’s all evenly combined. Leave to harden in the fridge for 1–2 hours. Use a small ice cream scoop to shape the mixture into balls. Sprinkle over the remaining desiccated coconut or roll each ball in it. Place back in the fridge for 2–3 hours to firm up. Serve straight from the fridge.